The other day I was reading about some of the conditioning programs of top barrel racers, as well as reflecting back on my notes with suggestions from some veterans. They each talked about how many miles they go or minutes they spend at the walk, trot, then lope, etc. in each workout. While it’s good to monitor this and have systems for keeping us on track, if we just trot and lope around without much focus on HOW our horse’s are moving and HOW we can help them move more correctly, when the time comes to enter up we might be leaving money on the table, or worse yet leaving our faces in the dirt. When a horse takes a digger, while it may also be a legitimate case of the ground not being prepared properly, more often than not it’s that the horse hasn’t been prepared properly. In this special VIP-only post, I’ll be sharing a ‘behind the scenes’ look at how someone without all the typical support systems and resources that the NFR barrel racers seem to have… can work toward reaching THAT level of barrel racing achievement. 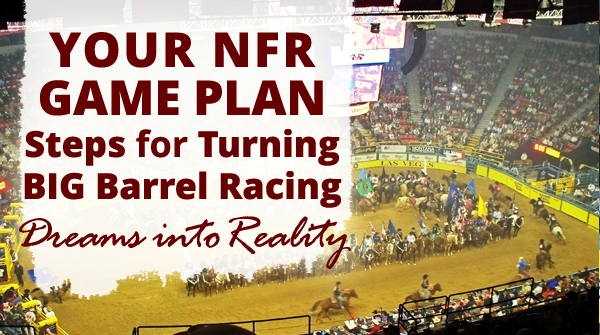 First, you should know that over a year ago I started making detailed plans for the NFR. I don’t mean planning my wardrobe for this year (haven’t even started on that yet!) – I mean getting ready to RUN there. Yep, I already know where we’re going to stay & keep horses when I’m competing in Vegas. While that may be true on one level, my faith in the unseen and what I DO have is even more true on deeper level. I’m just planning for the eventual and inevitable. I have no doubt in the dream God planted in my heart. You can be getting ready too – no matter how far away it may seem right now. Got no big family to support you? No fancy horse? No money? No arena? No living quarters trailer? But BIG barrel racing dreams!? Honestly, it’s not about resources, it’s about your resourcefulness. However, my husband Craig and I DO have to do things a little differently than most to achieve our goals. We certainly haven’t ‘arrived,’ but we’ve left – and learned (and continue to learn) a lot along the way. My intention is that it helps YOU create one as well! 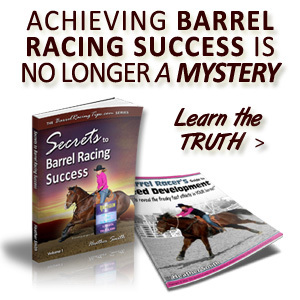 Most important is that you closely examine and get honest about what REALLY drives your barrel racing goals. For some high-level jockeys, it’s just a job. For others, it can become a job if not approached in the right way. But it didn’t quite start out this way. My passion and love for horses was almost inborn. There were always a couple in the pasture, but I really had to scratch and claw for every opportunity to DO anything with them. My upbringing left me with gaping holes of unworthiness. Maybe (I subconsciously thought)… if I achieved big things with my horses, I’d be respected, loved, included, admired, etc. Eventually I learned that I already AM all those things – not because of what I do, but because of WHO I AM (with or without horses). Wow, what a turning point! 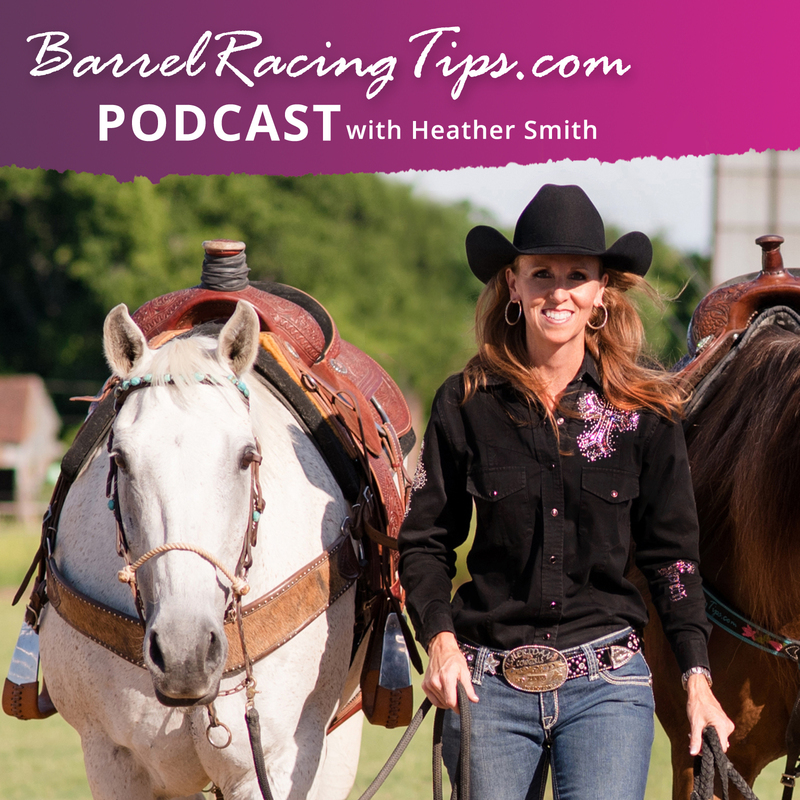 If your motives aren’t authentic and aligned with your true self… if you’re trying to be a barrel racing superstar to fill some inner void, I’m afraid to say – that’s not gonna do it. If you don’t feel ENOUGH right now without big achievements, you’ll never be enough with them. Inspiration comes from being “in the spirit.” When you ARE clear and aligned with the purpose behind your barrel racing – LOOK OUT, ’cause there’ll beno stopping you! If you struggle to stay consistent with your horses, or are quick to throw your sucker in the dirt – take some time to re-examine your motives… your WHY. You don’t have to push yourself so much when you’re filled with INSPIRATION that pulls you forward. Check yourself and make sure you’re going about things in a way that ensures you’re staying ‘full.’ Sometimes all it takes is a perspective shift, then ongoing inner work to cement it in. This is a biggie. When I started pro-rodeoing on Dot Com in 2016, I would sit at my office desk in front of my huge wall calendar – staring at it for what seemed like hours trying to nail down what I should select as my entry preferences when I called ProCom. I was competing pretty much as a ‘weekend warrior’ at that point, but the time investment it required seemed all-day, every day. I loved every minute of it, but it was overwhelming and exhausting. I quickly realized that if competing at THAT level was going to take THAT MUCH time, then I better be thinking about and preparing my life for when things jumped up a few notches and I was traveling and competing a lot more. Think about your existing responsibilities, obligations and how you spend your days. Now imagine a calendar where you highlight every day & night over the top of it in a bright pink marker that represents BARREL RACING. It’s THAT all-consuming. I mean it’s going to take darn near every moment you have. Soooo… what takes up your time now? What has to go? What must stay? What has to change? What changes do you need to get started on now? Most of us actually have about six full-time jobs. By that, I mean responsibilities that if we were really giving them our absolute best, would be (and often should be) full-time. Some are top priorities and non-negotiable, like being a wife and mother. There are some we legitimately need for the time-being, because it pays the bills. Others are voluntary that we can decide to gracefully step down from, so we can step into what we were really put on this earth for. Some responsibilities we need to oversee, but can be re-arranged, simplified or outsourced. There are some corners I just won’t cut. But that doesn’t mean I’m wavering on my goals. I think we’ve all been there – where our lives got a bit out of balance & caused us to realize what we’re NOT willing to trade success for. But we CAN have it all. It’s just that we’ve got to get crystal clear on what our ‘ALL’ really is, which will fuel the right action steps. We each have to decide what’s most important to us… and WHAT’S NOT at some point and to some degree, will likely need to be let go. When you develop a clear vision of that + what it REALLY takes to make those big dreams reality, it’s not too hard – often it’s simply a matter of consciously trading what you want right now for what you want MOST. With this clarity, those big (and small) decisions to trade the good for great are almost easy… and incredibly energizing. What this looks like for me is early, consistent mornings. Routine when possible, intentionally creating excellent habits, and impeccable (almost ruthless) time management and discipline (that I actually enjoy carrying out). Being incredibly organized and efficient, no TV, but quality, adequate R&R. Any time-consuming inconvenience or potential for it in the future is addressed and eliminated. My time is consciously invested in things that move the needle forward in some way and not in things that do the opposite. You know, God didn’t check your bank balance before putting that dream in your heart – but I also know He didn’t intend for you to go into crippling debt, experience constant stress, or to compromise your health & relationships. Money problems essentially equal stress. When under financial pressure, it’s becomes tempting to cut corners. I personally experienced enough financial lack, that I decided NO MORE. If at any point I don’t have the funds to give my barrel racing and my horse justice, I just don’t go. I keep working on the financial side of things until the readiness is there. Trust me – you’ll have more than enough stress out on rodeo road. You don’t want to ask for even more or jeopardize what means most to you by pushing your financial limits too far. Many NFR qualifiers spend as much in expenses during the year as they win. The Finals is their opportunity to get in the green. We all love and admire the stories of gals who go in toward the top of the standings with only 30 rodeos, and while that’s not impossible, it’s also not probable. 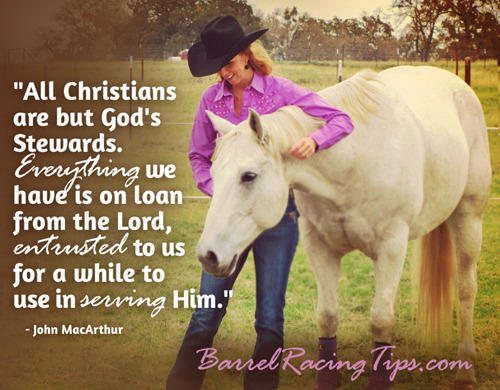 There’s a gal here in Texas who mainly hits open 4D barrel races each weekend and blows everyone’s doors off with her mare – certainly making a good profit and creating enough financial freedom to barrel race full time. THAT is ideal, but it’s more of an exception than a rule. Chances are good, to get close to that level of winning consistency that we’ll need to invest in our ‘barrel racing education’ by donating years and many thousands in entry fees. Of course it’s our goal to be profitable, but don’t necessarily ‘bank on it’ in the early stages, especially. For years now Craig and I have followed many of the teachings of Dave Ramsey. While we don’t carry out the protocols with absolute perfection, our goal is to be debt free. We don’t buy what we can’t pay cash for. Our dually truck is a 2004. We could really use a new one, but we’re not buying until our trailer is paid off. We’re also funding a $10,000 min. savings/rodeo fund to use if necessary if/when we’re on the bubble of a big achievement and need some margin to get through. If not totally debt free, can you get there with the exception of your home? Do you know how much more money you could spend on entry fees if your truck and trailer was paid off? Do you know what you can do with all those winnings when you don’t have payments? As Dave Ramsey says, “Anything you want!” People get super committed and pay off mortgages all the time. It’s DO-ABLE (and worthwhile even if you have to put competing on the back burner for a while)! And if you can do that – you can save up and buy a $100,000 horse (if that’s what you want). Don’t sell yourself short, in any way! Learning what it took to support a high-level performance horse financially was another big wake-up call. The investment is so great, it’s staggering. Our geldings who are now in their teens take a more expense to maintain than a younger horse under the same work load. But caring for younger horse with greater (pro rodeo) demands on them would require about the same level of care (and financial investment) to maintain. It’s a lot. Likely a lot more than what you realize… and it’s a big part of why the pro’s horses perform so well consistently – because they’re receiving pro-level care. It’s a huge missing link for most barrel racers. There’s no reason you can’t offer this level of care as well, you’ve just got to plan and prepare and make adjustments to offer it. For example, I spend very, very little on clothing, hair appointments, restaurant food, home decor, entertainment, etc. so that I can invest in what’s most important me. I absolutely do NOT scrimp on horse care. On this topic, it’s also important that you’re seeking out learning opportunities to increase your horse health care skills. My husband despises giving injections and wrapping legs, for no other reason than he’s just not good at it (yet). BUT, he MUST embrace these things to develop the necessary skills to be a professional horseman – it could save a life, or a horse’s soundness! He has perfect opportunities to learn with me & my Vet. Tech. experience looking over him, BUT I always have to encourage him. Don’t wait until you have to give life-saving IV injection to learn how. There is never a time I go to our Vet. without a list of questions prepared on my phone. 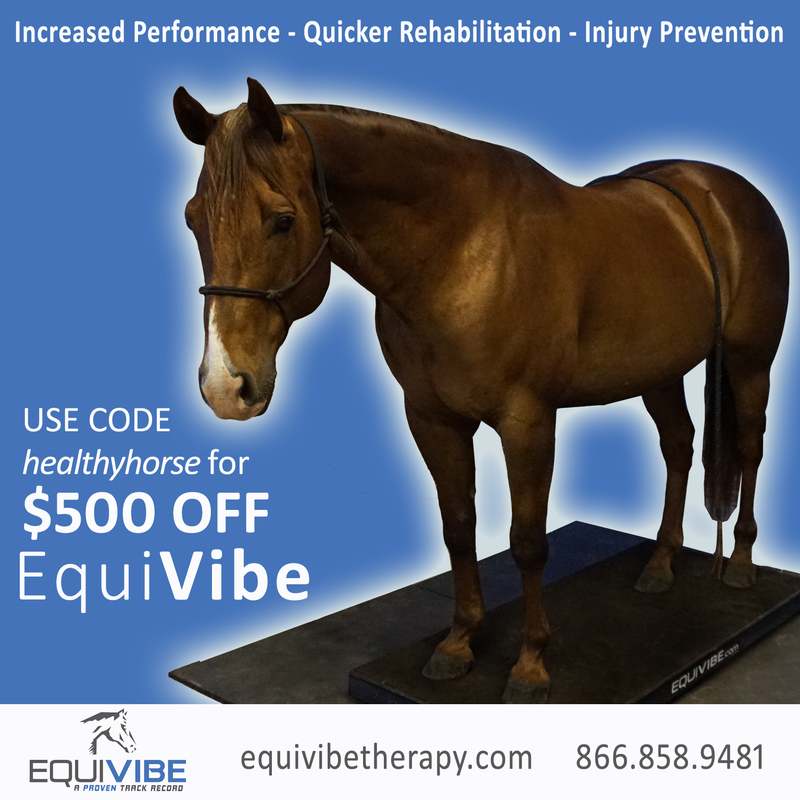 Don’t retreat from uncomfortable learning experiences – seek them out from trusted professionals so when you have that horse-of-a-lifetime and need to maintain their health & soundness/prevent the loss of it – you’re more than ready! Speaking of that – let’s also get real about your current horse power. I’ll share my scenario to start: I used to dream of qualifying for the NFR on my beloved, equine soulmate, Pistol. While if I had known back when he was a youngster what I know now, I’m confident we’d have had more success – the reality today, is that physically his body can only handle so much. This doesn’t mean he can’t still be highly competitive, it’s just that he can’t make highly competitive runs repeatedly. One to three a week max., but certainly not more. Hauling horses long distances in the trailer is extremely hard on their bodies as well. Dot Com, my husbands amazing and super talented rope horse gelding is 18 years old this year. Our goal is for them to qualify for the World Series Finale in Vegas. Can he make that kind of trip and hang tough under those circumstances? You bet, but he certainly couldn’t withstand pro-rodeoing all over the country in pursuit of an NFR qualification. Again – we’ve gotta have our head in the clouds, but feet on the ground. You might not have your NFR horse right now. I don’t. And honestly, our current horses require a lot of TLC to be at their best. On the surface it doesn’t really make sense to be so devoted to our three boys who are now ages 15, 18 and 23. It doesn’t quite align with an ‘NFR dream’ from the outside looking in. But I’m not working that way, this is an inside-out job. My barrel horse, Pistol is not a world beater. But here’s the thing – I honestly feel like God has urged ME to take good care of what he’s given me, and that He’ll provide me with more (THE unicorn) when the time is right. Some would think I’m crazy – “You need an NFR-caliber horse… you need TWO!” “You need prospects, multiple colts, up & comers!” Someday maybe… For now, I know that if my hands were fuller than they already are, that I wouldn’t be able to do justice to the equine gifts He already bestowed upon me. We have a quality over quantity theme in general that also applies to horses. I’m confident the lessons our existing horses have yet to teach are preparing me for what’s ahead. I used to question myself, “Is it some kind of fear, do I just want to stay ‘comfortable,’ am I just ‘too attached’ to my horse?” Nope. I’ve bought and sold numerous horses. These three boys we have are lifers. It’s just a knowing. It took me a while to come to terms with this. Trust your gut when it comes to horse power. What you feel called to do and HOW you feel called to do it won’t necessarily make sense to everyone else, or look like the actions everyone else takes. That’s OK.
You were not called to do the things and do them in the way that everyone else does. That’s unique to you. Own it and have peace with it. 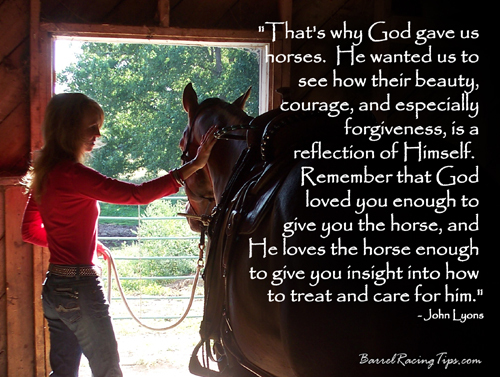 Be open to change and receiving God’s gifts in equine form, then darn sure appreciate, care for, and make the absolute most of the ones he’s given you. I have a friend who would often send her talented young horses to a top-name futurity trainer to jockey. Why? Because she thinks the other gal can ride them better. Are you kidding? Why wouldn’t you want to run the horses you raised and trained? I can see what she meant now, that’s a choice and a viewpoint that’s up to each individual. But just because you’re not a great jockey now, doesn’t can you can’t be with the right focus and development! Truthfully though, not everyone wants to be better. Not everyone believes it’s possible. Not everyone even sees how or why they need to improve. The problem is, that if you’re just not a great jockey yet (which is quite possible if even you’re a good rider in general), that no-one is likely TELL you! And chances are good that the people who can see it (even professionals) won’t know how to help you! I know this, because I have been that person and it’s taken 20 years to develop my OWN ‘eyes’ to see it. It’s true that we’re each born with varying degrees of athleticism. I’m about average. I have to make up for that with a lot of intentional work (and working out). Professional football players and other athletes do SPEED DRILLS – why wouldn’t we also do them if we want to have better timing? 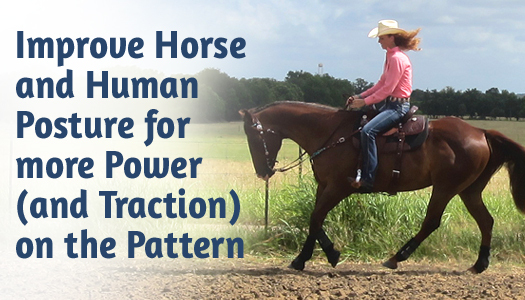 There are balance building-exercise programs for seniors, but you don’t have to be a senior to improve your balance on your feet, which will help improve it in the saddle. Greater core strength, too – is available to anyone! Riders in other disciplines take lessons from instructors who are experts in rider biomechanics to be more effective (and less of a burden) on their horse’s backs and help them perform optimally – why shouldn’t we also be motivated to do so? There are simulators for steer wrestlers, life-size dummies for ropers, roughies have their bucking machines, and because I need to make more runs to stay sharp than my current horses can handle – I built a ‘simulator’ for barrel racing (a saddle on a barrel mounted on a balance board – still in testing)! It takes many, many, many hours in the saddle and runs too, but don’t neglect all the many other ways that you can and will need to focus on, to truly be at your most athletic, balanced and quick in a run. Start getting ready NOW. Even when you’re as ready as you can be – that future unicorn will humble you! I just posted a pre-NFR Q&A interview with Ivy Conrado. Something she said stuck with me, “Never feel sorry for yourself.” She’s right, and it was a good reminder, because I have. You see, I don’t have much of a family in traditional terms. My parents divorced when I was very young. have a good relationship with my mother and brother, but certainly not close. My brother is happy and successful, but my dad neglected to care for his health and passed away last year. My Mom’s life path isn’t much different. She did however introduce me to horses, and for that I’m grateful. There was a lot of dysfunction in my surroundings growing up. But I knew from a young age I was made for more, and that making more would mean breaking out of that environment. So that’s what I did as soon as my life was more under my own control. To this day, I can’t call my Mom for advice. There is no ‘home’ in any sense to fall back on or foundation of unconditional love and belief. I care about my family, they are good and honest, but in many senses they are toxic and limiting. I do not have a parent figure that can lend a hand in my life in any sense. The environment I grew up in was not where I was meant to stay. I had to go out and intentionally choose/find/create a more suitable and healthy one. This forced me to develop a level of independence and courage that I never would have otherwise. I learned I could do anything, because I literally had to. From getting my driver’s license and leaving home at 14 to moving across the country alone with my old truck, tiny two-horse trailer, mare and two cats at age 20. My support system today is my husband, Craig. What a gift from God he is! For Thanksgiving, we’re going out to eat. It’s a holiday tradition we started when we first moved to Texas and lived in a hotel for four months. But don’t feel sorry for us! These days I focus on creating and being thankful for the loving support I never had within our beautiful Texas home and family of two. As I’ve been preparing some NFR interviews for you, one common theme keeps popping up is – the importance of FAMILY. 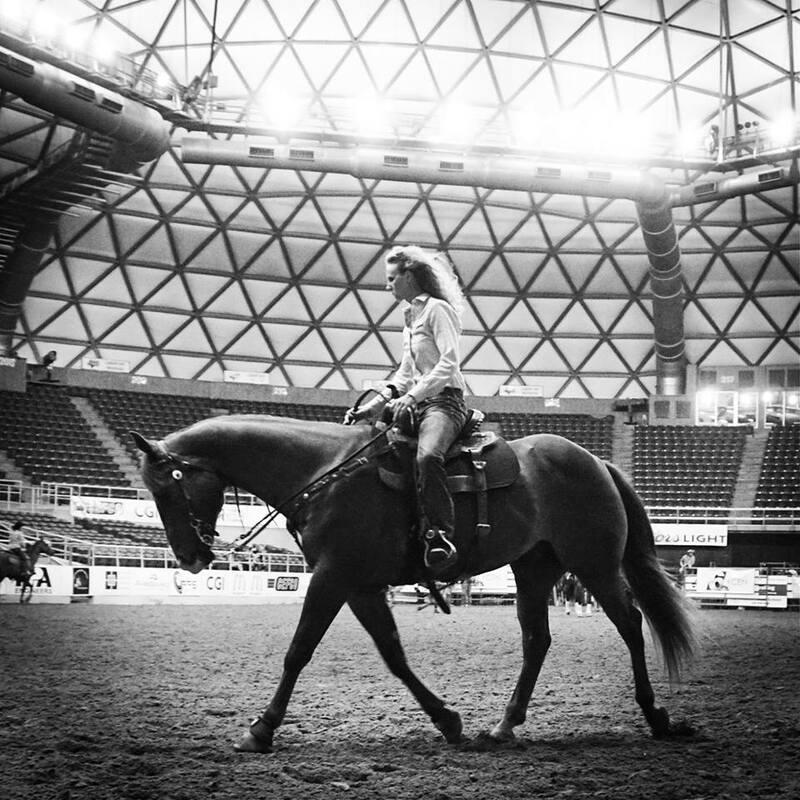 But what if you have BIG NFR dreams, but… no big family to support you? Maybe there are other seemingly insurmountable obstacles or limitations in front of you that make those HUGE barrel racing goals seem soooo far out of reach. You have this calling in your heart… BUT, you don’t have __the money, the horse, the time-freedom, etc.___. Well, let me tell ya – I had a light bulb moment the other day. This came after a moment of questioning the size & strength of my own support team. I was reminded that for whatever hardship, challenge or lack we’ve been through or experienced, that God promised to pay us back – and then some. We get beauty for ashes. THAT is His promise, if we choose to accept it. I got to thinking about my husband Craig. About how God wrapped up TEN support people into ONE with him… about how Craig’s loved me in a way that’s as close to the unconditional love we have from Jesus as a human can get. I feel more love and support from Craig than I’ve ever felt from anyone in my life. When I was feeling overwhelmed with gratitude and called to thank him, he said “That’s my purpose!” Lord knows one of my greatest callings is lifting him up as well. 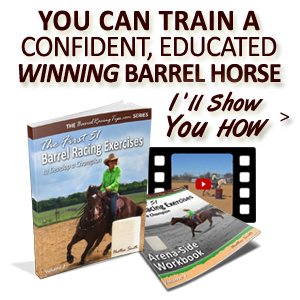 Here’s the deal though about BIG barrel racing goals – you might have do to things differently… more intelligently, in a more savvy, simplified and streamlined way. I have to prioritize differently than most do in order to get where I’m intending to go. I’m confident though, that if God puts a dream in our heart, that he’ll also make sure we have all the guidance and resources necessary to make it come true. 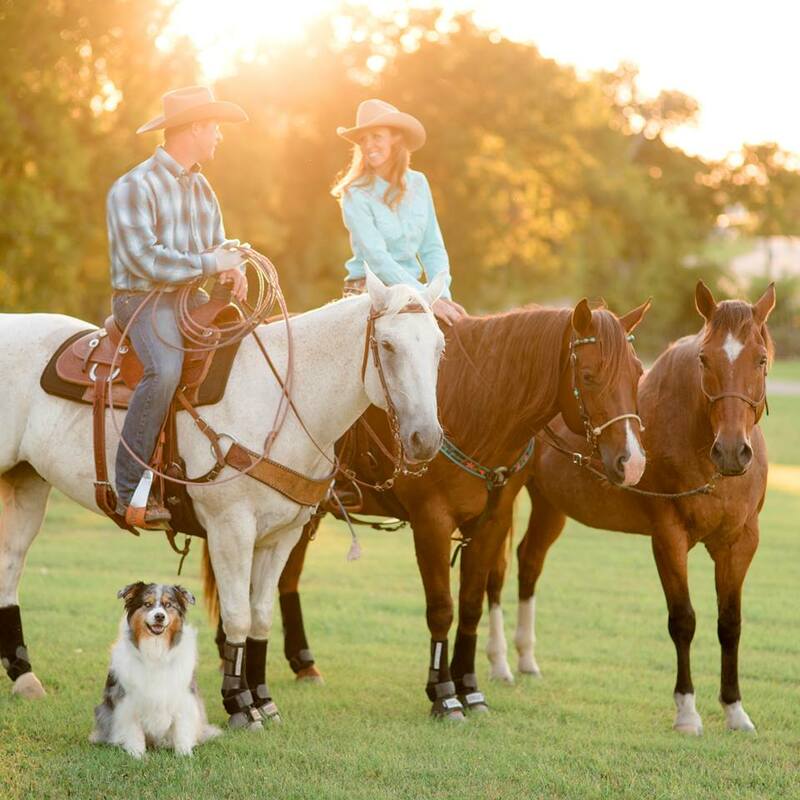 If you’re pro-rodeoing around the country is your goal, it’s ideal to have a family member or close friend travel with you or take care of things at home. It’s not likely to be a journey you’ll want to venture out on alone. The ‘training’ I’ve had to be independent has been an asset, but at the same time learning to seek and accept help has been a challenge. Craig’s schedule will not necessarily allow him to always travel with me, so the perfect traveling partner is another position I’m confident will come at the right time. Yours is ideally one who’s been there and done that and can show you the ropes, but who is professional, positive and uplifting to be around. Because of the limited human support we have around us in Texas, we keep our equine circle small. I don’t want more horses than we can fit in the trailer and haul with us. We even made the difficult decision not to get another dog after my darling Tess passed away. Traveling with a dog in the Texas heat is tough, as is not having a local, trust-worthy dog-sitter. Considering time and financial resources were already stretched thin, it just didn’t align with the NFR dream, for now anyway. Whatever you have lacked in support from humans, can be made up for. God putting Craig in my life is an example of this. His love and support is so great, it’s more than what a dozen family members could offer. If you’re in this position, also keep in mind that sometimes we aren’t receiving support, because we’re not offering it… sometimes that starts with ourselves. Healthy relationships are reciprocal. We don’t want to just assume and expect it, but we do sometimes have to ask for, and be open to accepting it as well. Lastly, it’s easy to read about all the NFR qualifiers with so much family support, but I can assure you there are also some with none or very little. God wasn’t looking at your bank account OR your family when he put those dreams in your heart. Just trust that it’s possible, keep working at it and He can ensure it will all come together. Whether we realize it or not, we all have varying limitations, many that we can’t see in others. So there’s no point in dwelling on how easy vs. hard it is for them vs. us when we never know the full story. Most importantly, instead of dwelling on what you don’t have, recognize and celebrate the support and resources you DO have, how you can create more, and the qualities and fierce independence you’ve developed that will no doubt be an asset on rodeo road! This is a biggie too, for obvious reasons! My secret to a strong mental game is daily strength-building. Every weekday morning (that I’m home) from 4:30-5:30 a.m. is ‘Personal Development’ time (a lil’ later on weekends – again when, I’m home). I put some kind of of time in first thing in the mornings when I’m traveling as well. I read devotional/sports psychology/personal development books, journal, pray, recite affirmations, etc. or a combination of whatever feels right on that day. When you’re in a situation that leaves you upset, with some kind of anger, fear, anxiety, or even down in the dumps – here’s your sign! There’s something internally that must shift. And the little every day frustrations we face at home or the local jackpot are SMALL compared to what’s waiting for us on rodeo road. How fast do you recover from a really bad run? Do you personalize it? Do you give it a negative meaning? Or shake it off, and get to work? When our attitude and outlook goes south, it can be hard to get back on track quickly if we aren’t ‘well trained.’ Again, this really comes through prior, proper preparation! The road ahead is going to require more mental and emotional strength than you can even imagine. If you drive daily, cue up those inspirational and educational podcasts to make your vehicle a university on wheels. I can’t emphasize enough the importance of building your emotional fitness on a daily basis. I have my weak spots, too. But transforming them IS within our control – we’ve got to keep flexing our ‘muscles’ to hone our strength! Of course, there doesn’t seem to be a ‘need’ for it when everything’s going smoothly. But like everything else, the time to prepare is NOW. When you have opportunities of a lifetime before you, you want to be prepared to make the most of them. Whatever limiting beliefs we’re carrying around can be totally transformed if we soak up the right information with consistency. Some of those limitations you may not even realize exist yet. Be extremely particular about what you’re allowing in your eyes, ears and heart. It makes us who we are, so choose wisely! Hindsight is always 20/20. In my pro-rodeo journey so far, there have already been some powerful learning curves that I didn’t see coming. I wanted to share some of these insights with you, so you can make the most of every moment in advance to be as prepared as possible when opportunities come your way. 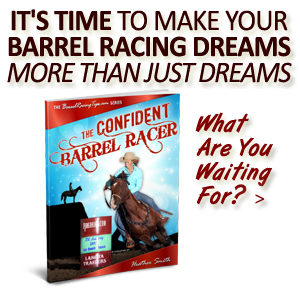 BIG barrel racing achievements will likely require more of you in all the areas above that you can even imagine right now, and it is possible even if you come from a ‘non-traditional’ background. You’ll simply need to be smart and intentional with your preparation strategy starting immediately. While we’re all trying to reach a similar destination, we each take unique and varying paths to get there. As you go, keep an open mind and dare to go outside your comfort zone, but at the same time stay connected to who and what matters most. Enjoy the many additional resources I put together for you below. 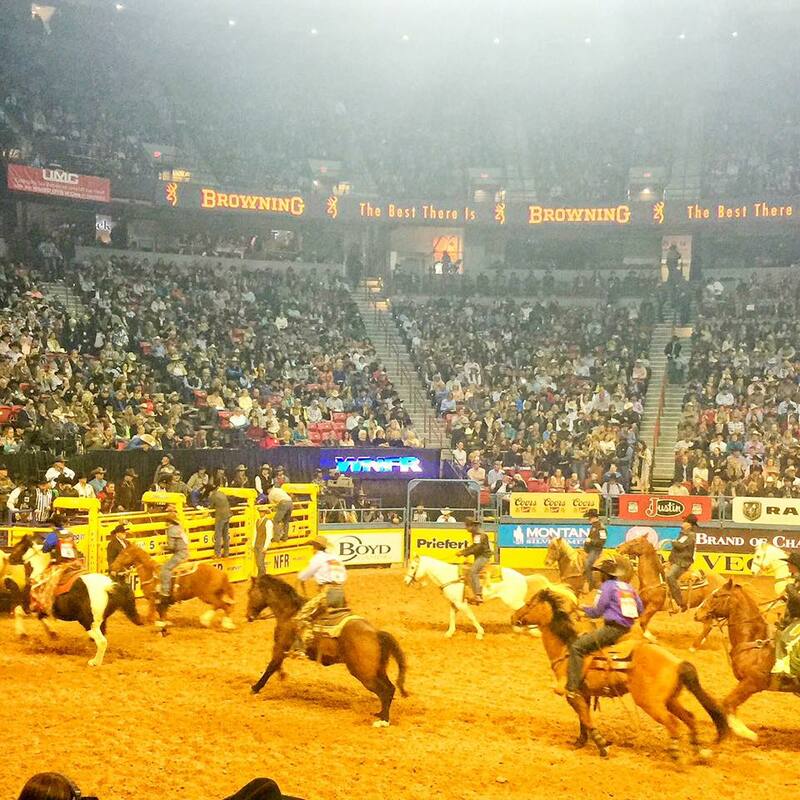 Enjoy this video of clips from the NFR to light a fire in & under you! 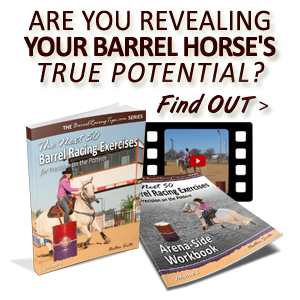 So You Want to Be a Professional Barrel Racer? Budgeting for Barrel Racers – Plan Now, Celebrate Later! TEN Steps to Plan, Prepare & Expect to WIN in the New Year! Will You Be Sore Tomorrow, or Sorry? How to Kiss Bad Barrel Racing Habits Goodbye! In Search of SPEED – How to BE Explosive on the Barrel Pattern! NFR Insider – Will Adversity (and Bad Ground) Cause You to Break, or Break Records?